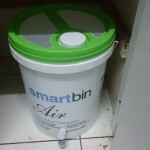 The difference between your old Smartbins and Smartbin Air is the mesh which is stuck to the lids. We can send the mesh to you and you’ll have to get your existing lids cut and fix those meshes with super glue like feviquick. (Water based glues won’t stay). You can either do it yourself or get a carpenter or handyman to do it for you. If this works for you, please order the meshes from this link. 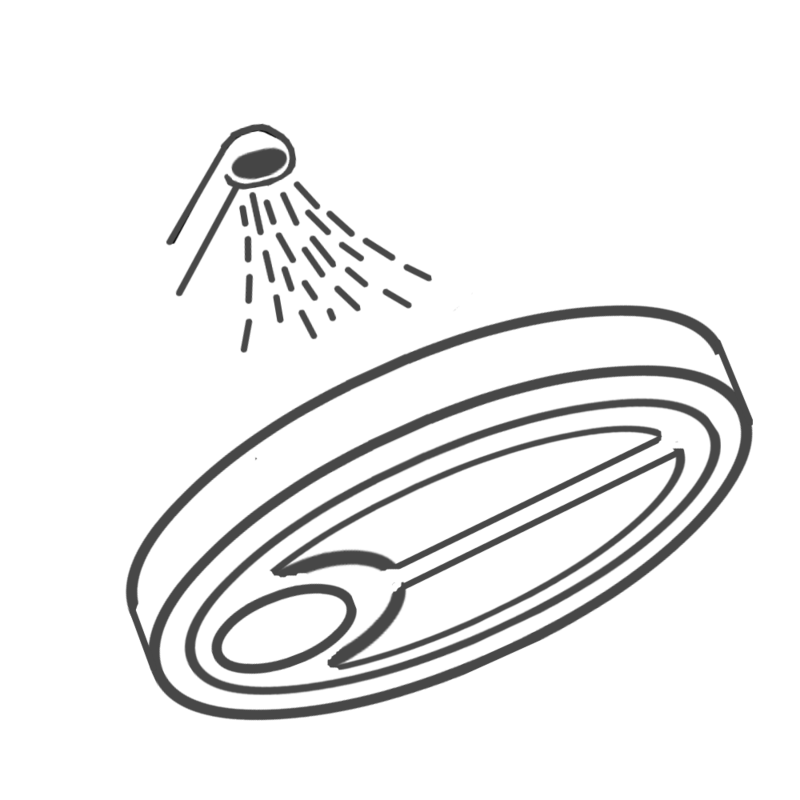 In a 500ml microwave safe bowl collect all your food waste. 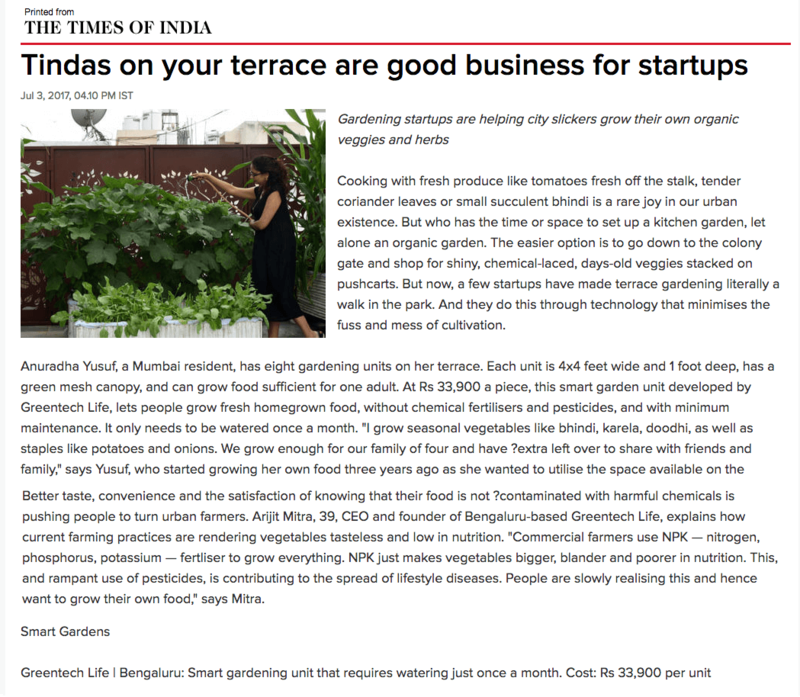 Everything goes – even cooked food, cirtus, dairy, non-veg etc. Keep the bowl tightly covered at all times. 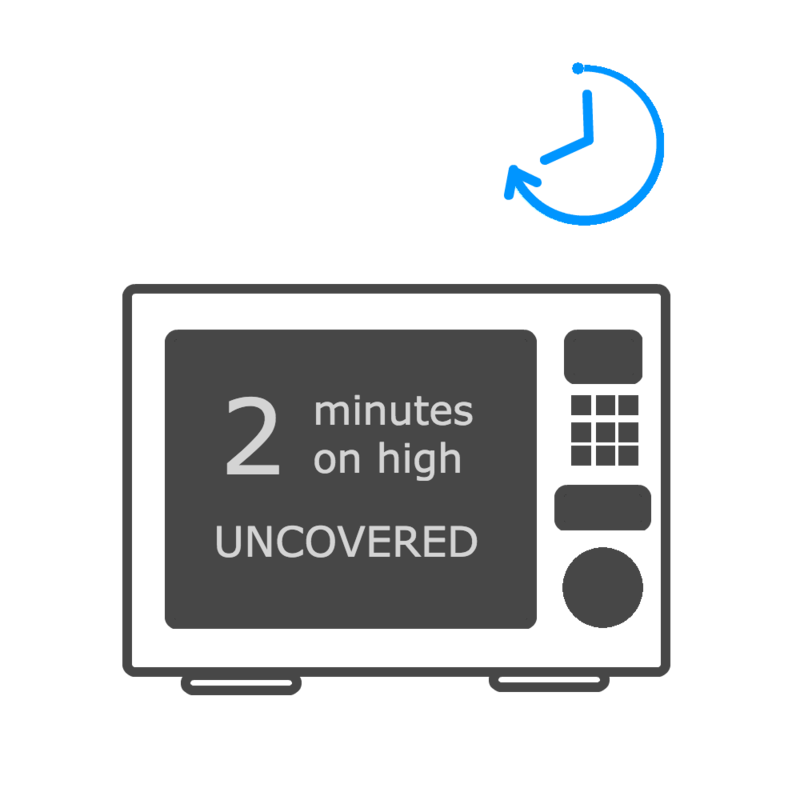 Once the bowl is full, microwave on high, uncovered for 2 minutes. 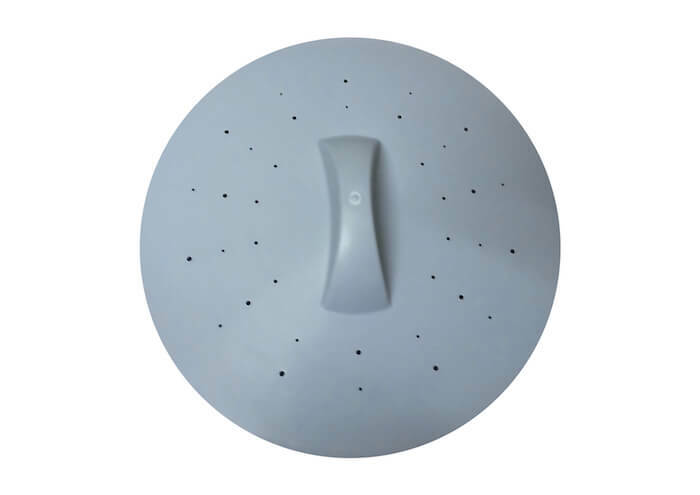 This stops insect eggs from hatching into worms or maggots inside your Smartbin Air. 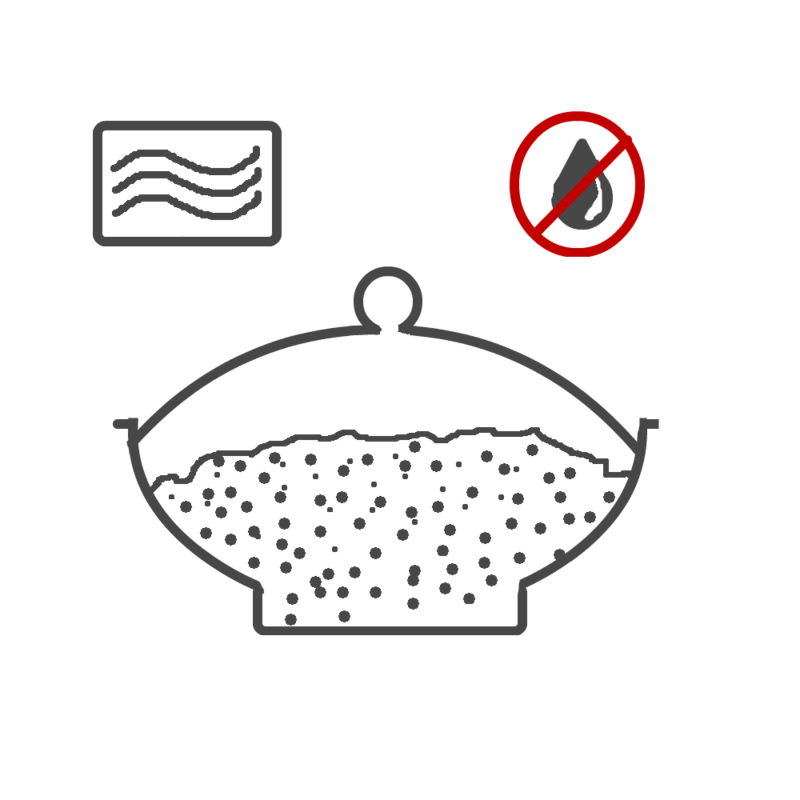 As soon as you get it out of the microwave, empty the bowl into your smartbin air. Cover with a layer of Bio Bloom Air composting microbes. Then keep the bin aside indoors for 10 days and start using the next bin. 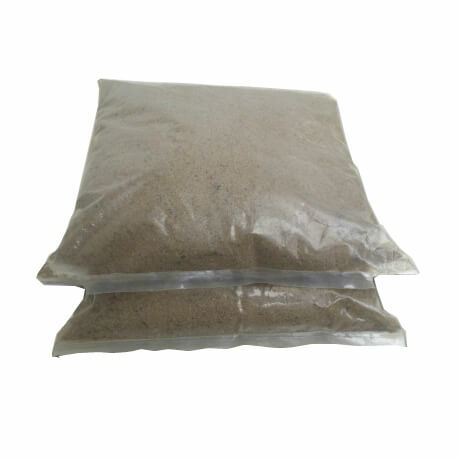 After 10 days transfer the contents to the curing bag and tie the mouth of the bag tightly. 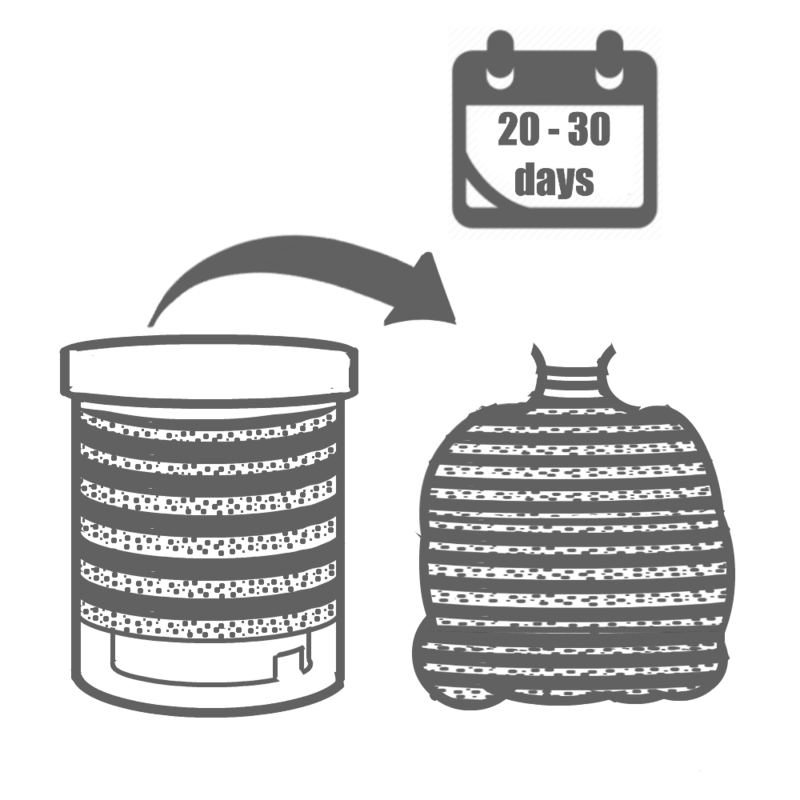 Leave it to cure for 20 to 30 days and your compost will be ready! 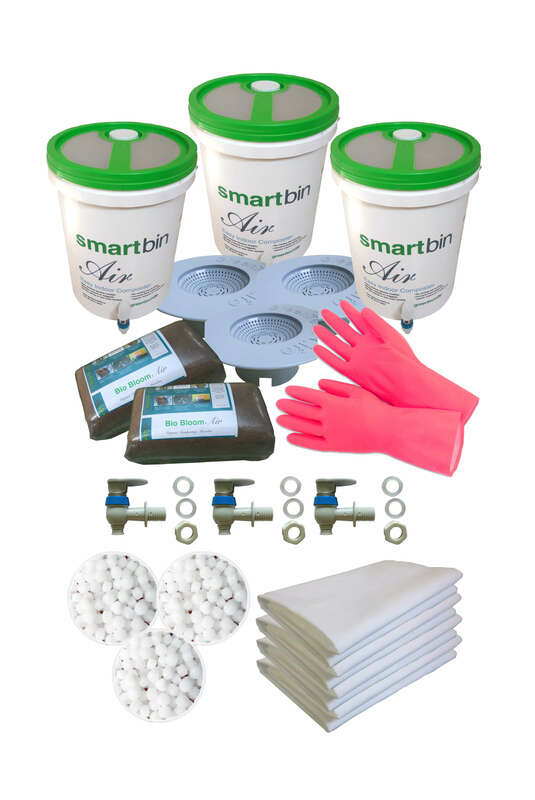 Once you empty the Smartbin Air, fill it with water to dilute the smartbrew accumulated at the bottom. 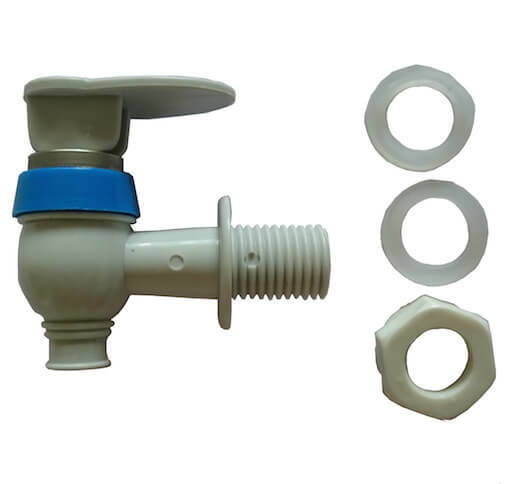 Water your plants with this liquid to see the magic of smartbrew! 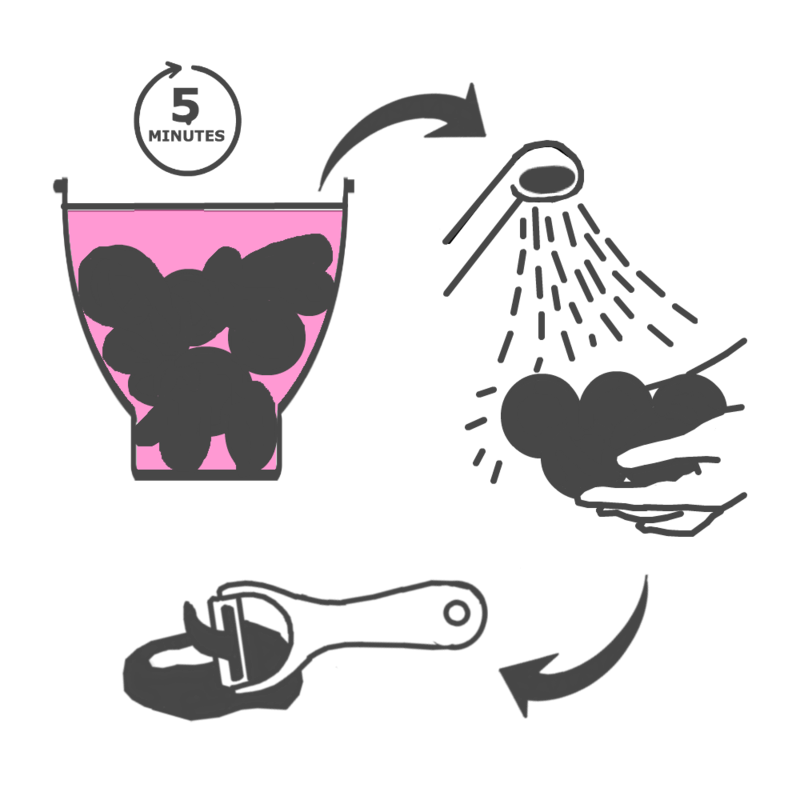 Use potassium permanganate solution to soak fruits & veggetables for 5 mins. Rinse thoroughly before peeling or chopping them for cooking. It is very cheap & available in any medicine shop. This cleans pesticide residues, insect eggs, worms or other harmful substances. 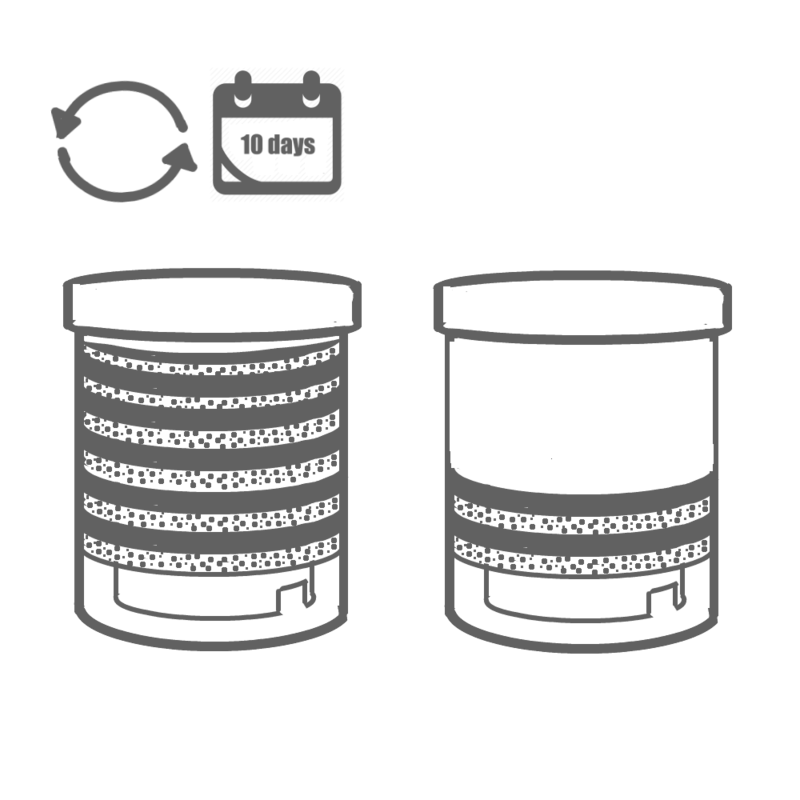 Instead of a microwave safe bowl, use any air tight container to collect all your food waste. 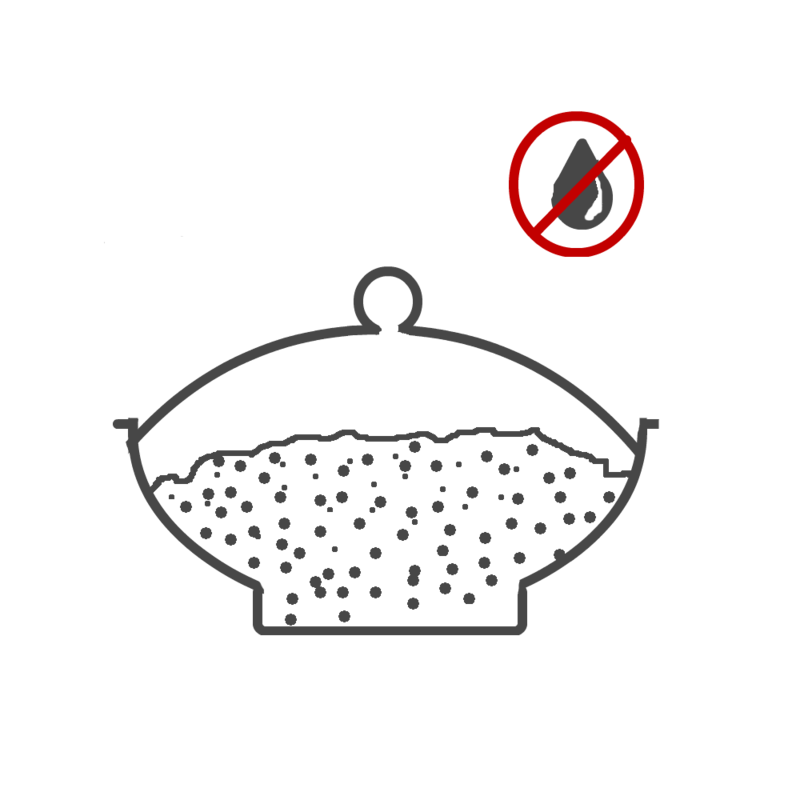 Never allow flies to enter this container, or leave food waste exposed. 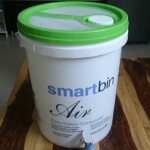 Once full, empty it into the Smartbin Air & cover with a layer of Bio Bloom Air & close the lid. 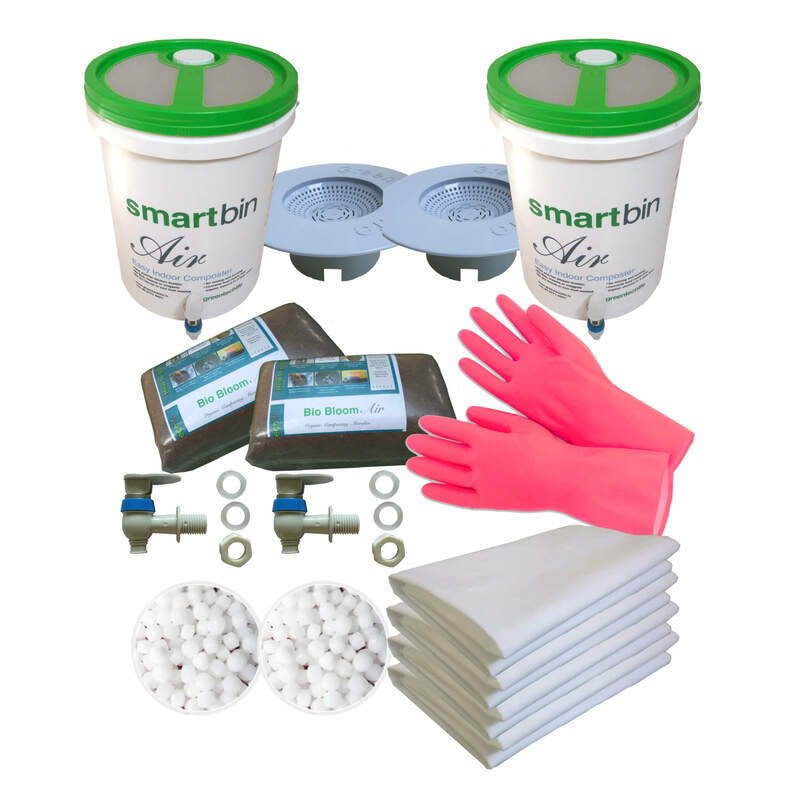 Smartbin Air lids are insect proof. If an egg survives the soaking & washing & hatches inside the bin, it turns into a tiny white worm & then into a cocoon that looks like a grain of brown rice at the bottom of the lid. Inspect daily and wash them off if you ever see them. While washing the lids cover the bins with a cloth. 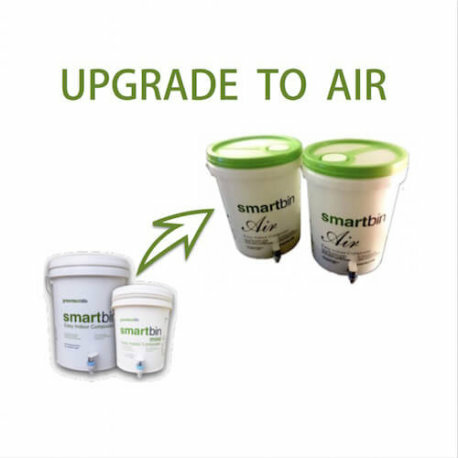 A 5 minute video showing how to use the smartbin air. This is assuming you have either done the microwave step below or the soaking, rinsing step before proceeding. 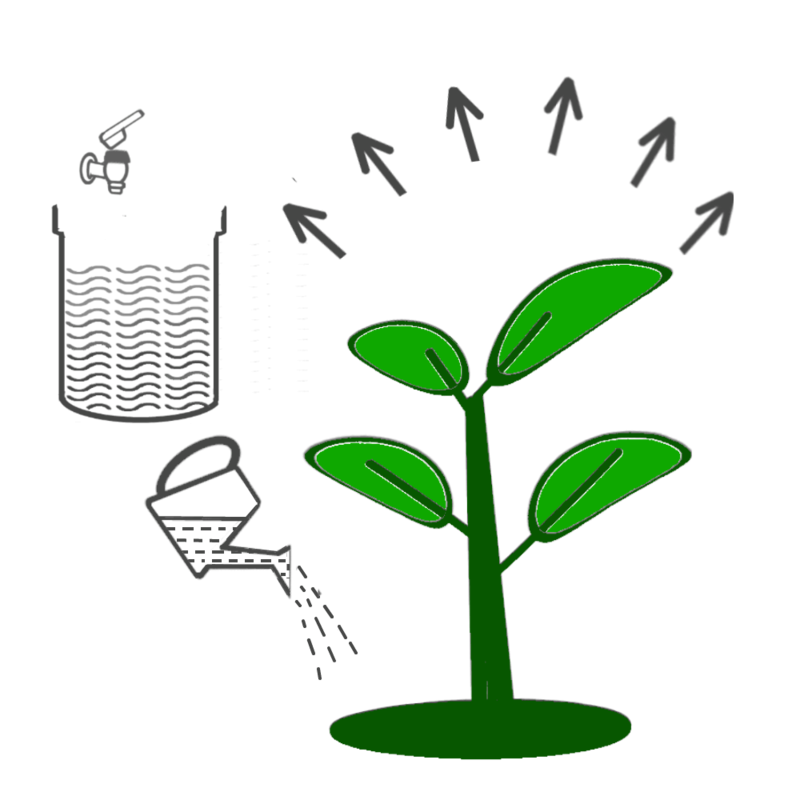 Bio Bloom is now Bio Bloom C.
Cocopeat based Anaerobic composting microbes ideal for Bokashi composting and old version of Smartbins. 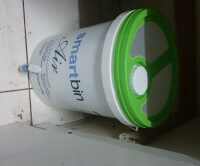 Mix 1 tablespoon for every handful of waste and pour it into your smartbins. 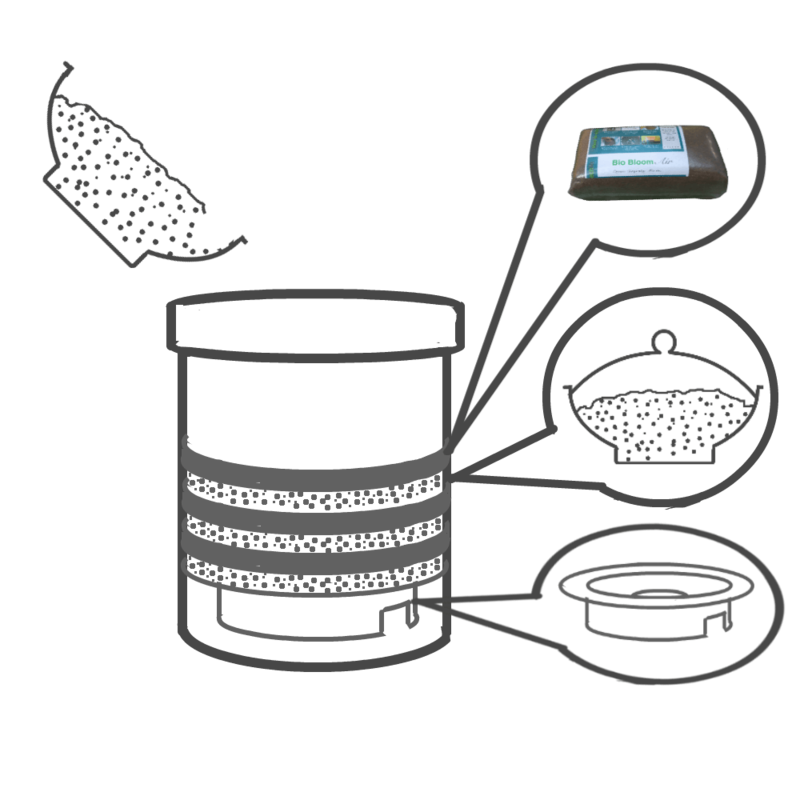 Press it down with the smartpress to remove air gaps & close the lid. Repeat till bin fills and set aside. 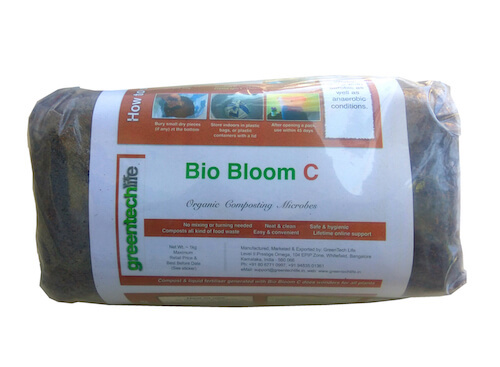 Bio Bloom C will turn your waste to pickle in 15 days. 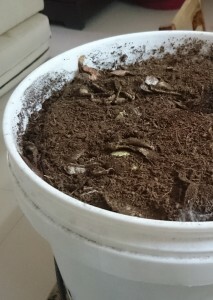 Layer the pickle with cocopeat/dry compost/ dry soil in an aerated container for 20-30 days & your compost will be ready. Sprinkle a handful in your compost pile every few inches.